Old-fashioned word-of-mouth advertising is the most cost effective way to grow a business, especially a service-based company like a BSC or distributorship. A referral program delivers highly qualified leads that close faster, convert better, and have a higher lifetime value, according to a recent survey of 600 B2B professionals. Although referral programs promise impressive results, only 30% of the companies in that survey had a formal program. Unfortunately, most business owners simply don’t know how to create a profitable program? Having a great product or service and top-notch customer service is a starting point, but it takes much more. Here are six ways to create a successful referral program that delivers leads and, ultimately, sales. Clients aren’t likely to make referrals without prompting, so waiting for it to happen naturally may leave you very disappointed. A better approach is to have a formalized system in place for regularly calling and emailing your best customers to ask for leads to friends or peers who could use your product or service. Asking for referrals just for the sake of referrals is a bad plan. 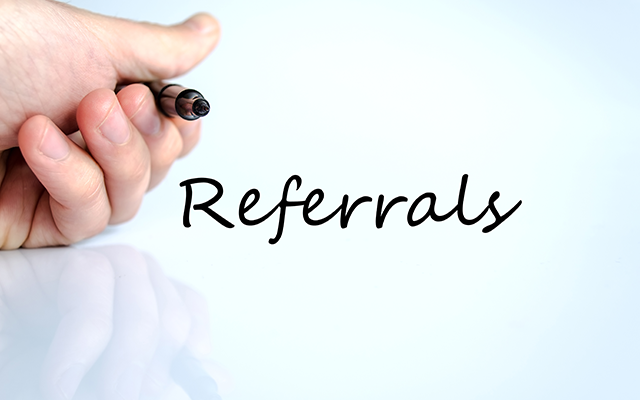 You need to know exactly the types of referrals you want and then ask for those. Being specific about the types of people who are likely to buy from you will deliver the best-quality leads. It’s also a good idea to generate a list of buyers (or companies) you’d like to meet, and then check LinkedIn for shared connections with your customers to ask for an introduction. To really turn referrals into a profitable marketing strategy, you need to make them part of your standard operating procedure. Use certain actions as triggers that will automatically prompt you to ask for a referral (in other words, make it routine to put out a request whenever a contract comes up for a renewal or at the beginning of a new month). Create plenty of simple opportunities for clients to make a referral. Put a form on your website, create a clickable PDF to mail to customers, and add a “share this” button on all of your content (blogs, newsletters, etc.). The easier you make it for someone to share your information, the more likely they are to actually do it. Extending a small reward to the referrer and/or prospect can make a difference. Whether it’s a slight discount on your service or a free add-on product, these little tokens of appreciation often motivate people to act. Remember to establish rules for your reward system so it doesn’t cost you more than you bargained for (for example, limit the number of gifts a referrer can earn or a timeframe for cashing in on discounts). Finally, it’s important to show gratitude to any client who makes a referral that ends in a sale. Establish a formal system for thanking referrers and do it in a timely manner. At minimum, send a thank-you card or make a personal phone call. If the referral brought in sizeable business, you may want to also send a gift, such as a gift card or a basket of food. If you show your customers your appreciation, they’ll show it back with high-quality referrals. 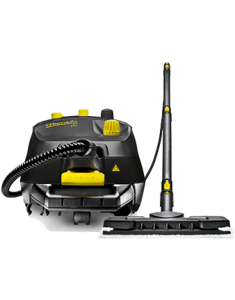 The VS4 is a compact and robust steam cleaner which offers outstanding power and sanitizing benefits. The compact design and low weight makes operation in tight spaces easy and reduces storage space. The VS4 is ideal for use in a variety of environments, where fast, hygienic cleaning is a necessity. Including restrooms, and locker rooms, kitchen, food preparation areas and medical equipment.